Young women are struggling to gain control of their financial destinies. 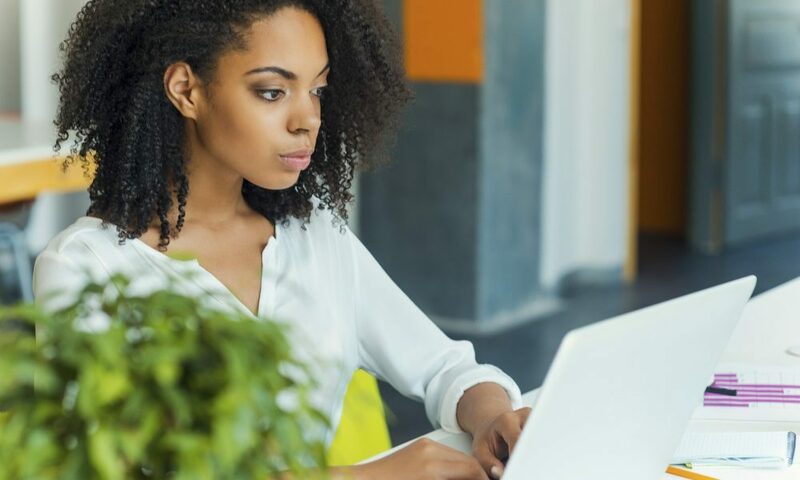 Reports continue to show overall that full-time working women get paid 78% of what white men earn; that is just 63% if you are an African American female, and 54% if you are Latina. So, itÂ takes women 15 to 18 months to earn what white men earn in twelve months. A recent study by Wells FargoÂ shows the gender pay gap is widening for millennial women. The median annual household income for millennial men is at $77,000, compared with $56,000 for women. The harsh reality is that women generally have lower lifetime income than men from which to build up their retirement income. It is estimated thatÂ by age 65, women will have lost an average of $431,000 in lifetime earnings owing to the gender pay gap. For millennial women, just 53% have started saving for retirement, compared to 71% of millennial men. More employers are focusing on pay equity and flexible work environments, allowing employees to better integrate work and life. Employers areÂ increasingly offering both female and male employees access toÂ financial mentorship programs, which they can use to ensure that they are prepared financially for important work and life choices, according to Financial Finesse, a provider ofÂ unbiased workplace financial wellness programs nationwide. Liz Davidson, CEO andÂ founder of Financial Finesse,Â says there is already a significant retirement gapÂ betweenÂ millennialÂ men and women.Â “Although we assume pay parity for the typical 25-year-old, there is a 28% gap inÂ the additionalÂ retirement savings needed to cover estimated retirement expenses, primarily due to women’s greaterÂ life expectancy,â€ Davidson explains. Millennial women need to saveÂ an estimatedÂ 12.6%Â of payÂ toÂ be on track to meet estimated average expenses in retirement. “When you add a career break on top of that, the gender gap in financial security is huge. Women need to know this so they can take steps to minimize the financial impact of important life decisions,â€ Davidson says. Financial Finesse conducted a study titledÂ Gender Gap in Financial Wellness Report 2016. The studyÂ identifies the groundbreaking gender gap as of greater influence to millennial women’s finances than the pay gap. Even assuming pay equity, millennial women are falling short in retirement savings. Based on assumed contribution rates, both younger men and women aren’t saving enough for retirement, but the shortfall for a typical 25-year-old woman is 28% greater. This difference is exacerbated when women take career breaks. Based on conservative estimates of wage inflation and time out of the workforce, an early career break can cost women $1.3 million in lost savings, with later career breaks costing less, but still having sizable financial impacts. As a result, millennial women who take early career breaks will need to save 25% during their working years to offset the effects of breaks on their retirement savings.